With a full team of mechanics and auto-electricians, Springwood Complete Automotive Services is pleased to offer car servicing, repairs and other solutions such as second-battery systems and alcohol ignition interlocks. With advances in the automotive industry, cars are more complex than they ever were before. If you have any issues or questions about your car, call us on 1300 461 017. We’ll take care of your car whilst you take care of your day. When it comes to high quality in-expensive car servicing and mechanical repairs, look no further than your local Springwood mechanic and auto electrician. By fixing your car, we might just be saving your life. We use only the best quality parts, have them fitted by the best trained people and guarantee our work will ensure a safe journey home for you and your family. Drop in for a free test today. 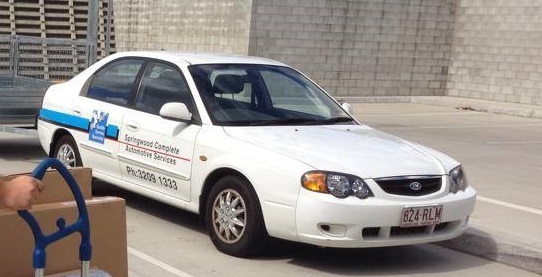 Servicing most areas of Logan City, the Springwood Complete Automotive Services team of mechanics and auto-electricians provides car servicing, repairs and accessories to keep you and your family safe in your car, servicing Springwood, Underwood, Slacks Creek and surrounding areas of South Brisbane. We know that family is important to you. It’s important to us too. Speak with our mechanics and auto-electricians today. Free Loan Car with any service! Free Loan Car with any service! 10% off all Batteries! Look for the blue “Quality Service Specialist” sign to ensure you are receiving real Springwood Complete Automotive Services! Why does the coolant in my car need changing?